Las Vegas Sports Monitor, an expert NFL Sports Monitor in pro football sports monitoring with picks from top handicapping experts nationwide. We have been a Third Party Sports Monitoring Service in Las Vegas for many years, and our nfl sports monitor keeps all the nfl sports handicappers honest with our documented results. Every week and through the playoffs and up until the superbowl, we monitor nfl picks handicappers release to clients, and we display those results for you. As an expert NFL Sports Monitor, we appreciate the efforts you make to win, and we care about bringing you the best nfl sports handicappers so that you can increase your winnings. Las Vegas Sports Monitor has the leaderboars showing some of the best sports handicapper results from Ben Burns, Hammer the Book and more, so that our NFL Sports Monitor Service illuminates who the winners and losers are. 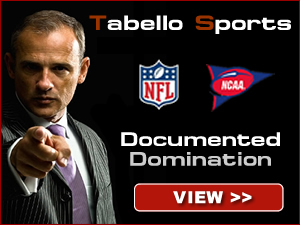 Call us for our documented results, so that you can start improving your nfl sports betting winners today!